The SRAM GX 2x crankset delivers consistent performance every time you throw a leg over and push off. Through SRAM's X-GLIDE chainrings, the GX crankset is engineered for 2x shifting performance by aligning the chainring pick-up rivets to the chain pivot pin€”rather than the middle of the chain link€”providing double the shift opportunities, for the fastest-shifting drivetrain. Flawless shifting means you'll never again compromise your speed and power in erratic off-road terrain. No more missed shifts, ever. X-GLIDE puts you in the right gear, right now. With the BB30 model you get a narrower Q-factor, more ankle clearance, greater bearing durability and stronger crank construction, all while shaving weight. Great crankset, has worked well for me so far. Took it through it's paces at kingdom trails VT, and didn't have any issues. Pretty lightweight too. 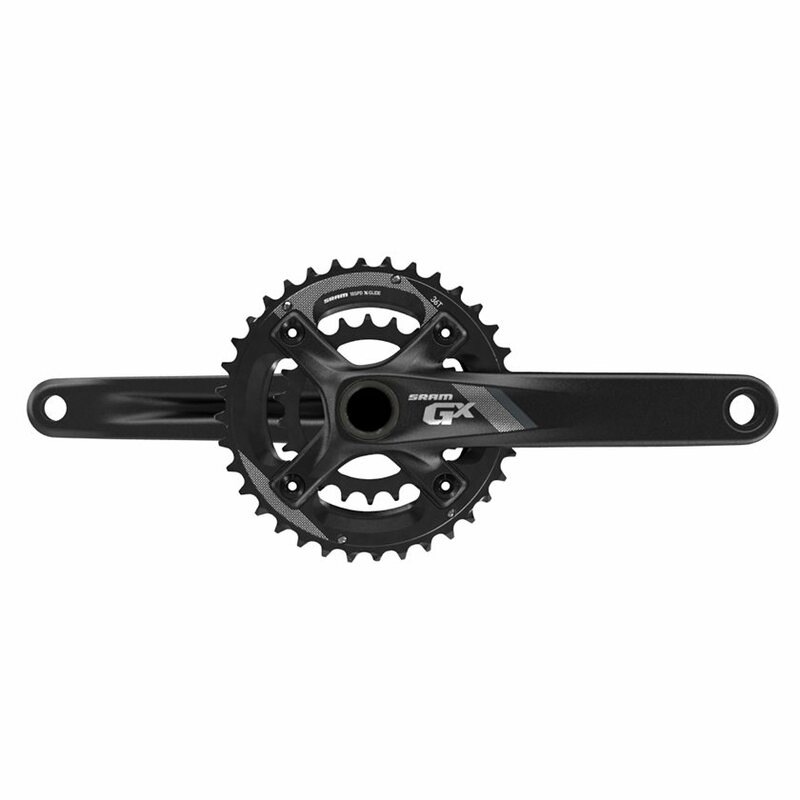 Needed to replace the worn chainrings on my custom Sram 1250 (X5 level) crank but then decided to upgrade to the GX 2x10. Saved a little weight and the new chainring design did improved shifting with the existing X7 front derailleur. Combined with a new Sram chain, the drive train is very smooth and quite.Worked with existing PG-1030 cassette. Only potential negative is that I can't seem to find replacement x-glide chainrings yet. I assume this is because the GX group is still relatively new.